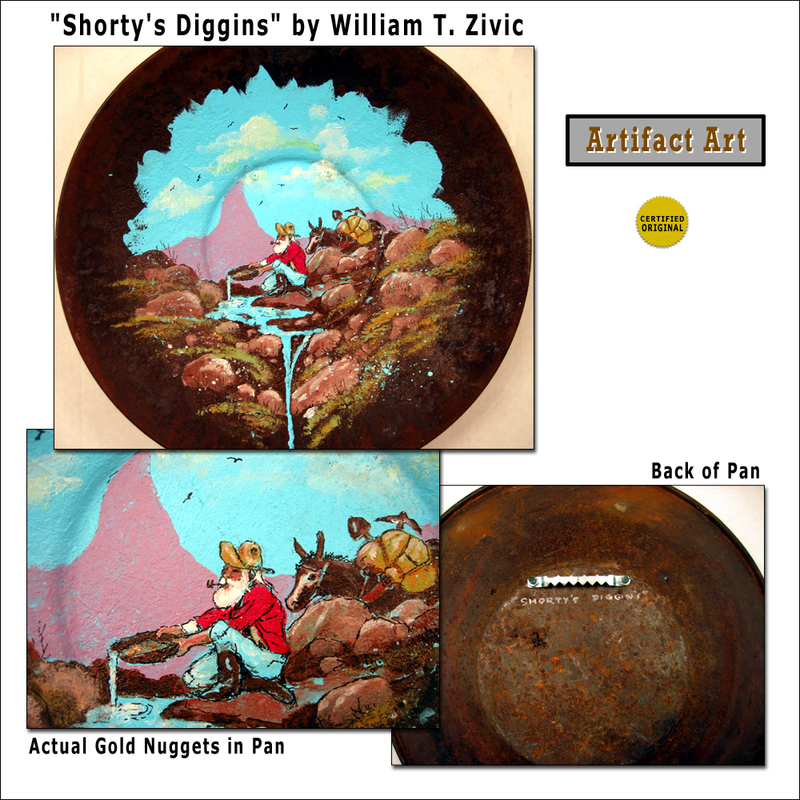 In this Artifact Art piece, a prospector pans for gold alongside his trusty partner. 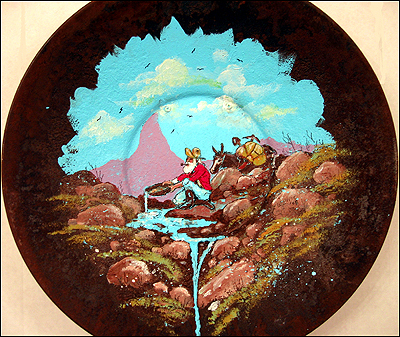 This item is painted on an actual old rusty gold pan. A small amount of actual gold can be found inside of the pan that Shorty is holding. The California Gold Rush of 1848-49 started a series of similar quests for gold throughout North America. This painting on a true artifact is a reminder of the spirit of those days. Old gold pans are rare and hard to find.